There is the young boy who, out of simple curiosity, took a match to the small white dingle balls edging the hem, then hid the bedroom curtains after they’d gone up in a whoosh of flames. He didn’t understand how fire worked, but that didn’t save him from his first whipping. My brother grew up to be a man who can figure out how just about anything works. There was the young girl with the early memory of a domineering father forcing her to take her pet rabbit to the butcher, then watching her family eat it for dinner. That incident taught Dr. Elisabeth Kubler-Ross to be, “tougher than anyone,” she recalled in her 1997 memoir, The Wheel of Life. She went on to be known as “the death and dying lady.” Her life’s work was changing how the medical field looked at death. The following is a story how a young boy—witnessing his mother make the decision as to whether she would pull the trigger or not—grows up to become a worldwide expert on the fear of crime. “A woman was pointing a gun at her husband, who was standing with his hands held out in front of him. She was anxiously changing her grip on the small automatic pistol. There were eight bullets in the gun. I was standing off to the side in a doorway, watching the scene unfold. As I had been before and would be many times again, I was responsible for predicting whether or not a murder would occur, whether or not the woman in this case would keep her promise to kill. 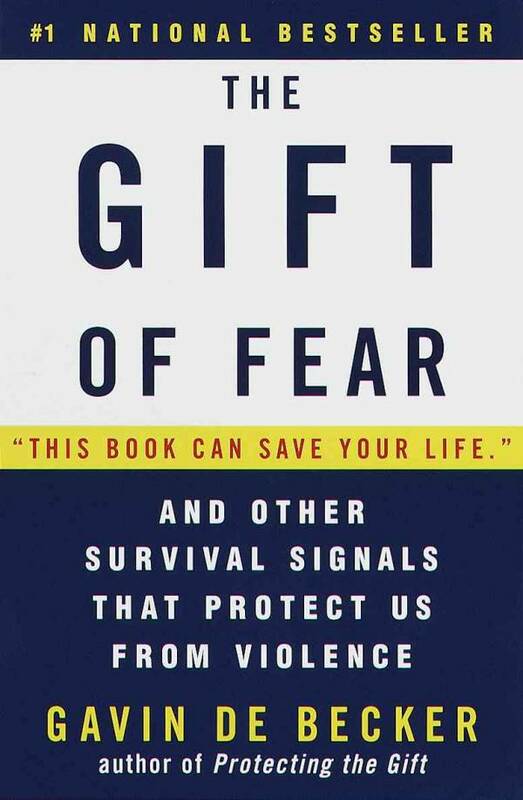 The stakes were high, for in addition to the man at risk, there were also two young children in the house.” This scene is from The Gift of Fear, by Gavin de Becker. He and his two-year-old sister were the children. He continues, “But I was ten, and I knew all about these things. Before I was thirteen, I saw a man shot, I saw another beaten and kicked to unconsciousness, I saw a friend struck near lethally in the face and head with a steel rod, I saw my mother become a heroin addict, I saw my sister beaten, and I was myself a veteran of beatings that had been going on for more than half of my life. De Becker doesn’t spell out his earliest incident in the book, but he relates other events where his young experiences determined his life’s path. He became a leading expert on violent behavior and a specialist in security issues. He could have become a violent man, but instead, chose to take the path to protect the victims of violence. I read that book many years ago. So much from it has always stuck with me. I plan to re-read now. Very interesting how one can take trauma in early life and use it for the greater good! Intriguing topic. Will there be more on this subject? Yes, I am doing a series of them.